The crystal clear beaches of Cesme is one of the reasons that this resort is an Aegean resort of world class standing! The city offers a wide variety of foods, shopping, history, and boat excursions. You will not need a vehicle to see everything in Cesme! However, if you want to visit the land or the rest of the peninsula, cars are easy to rent, or chose the sporty way and go there by bike through Cesme's great cycling routes! Nearby Cesme, you can go to Alacati, with its restored historic Greek houses, or get on the water and partake in water sports. For thermal waters, go to Ilica Beach, or if you simply want to discover the typical fisherman village, go to the enclosed harbour of Dalyan. Cesme is an exceptional seaside resort that offers many activities! 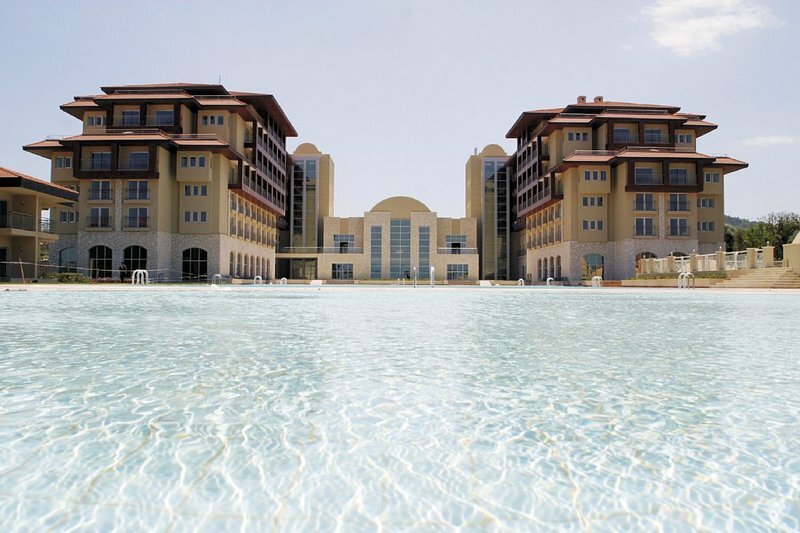 This delightful hotel enjoys a pretty setting in a prime location in Cesme. The hotel is conveniently situated close to the old part of the town, and is a mere 5 minutes' walk away from the new marina and the heart of the action. Guests will find a bus..
FacilitiesA range of services and amenities are available to guests of the hotel. Services and facilities at the hotel include internet access and wireless internet access.RoomsThe hotel offers family rooms and non-smoking rooms. All rooms feature air..
Hilton Garden Inn Izmir Bayrakli is conveniently located just across the Salhane Metro Station in the commercial area of the city, overlooking the Aegean Sea. Take the Izban metro for a 15-minute ride to the city center, or a 35-minute journey to the..
##Location. 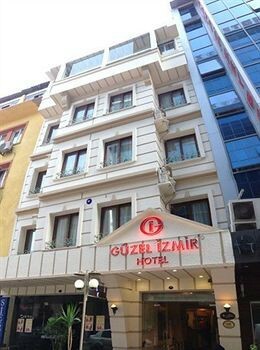 Hotel Anemon Ege Saglik is located in central Izmir, close to Ege University, Izmir Ataturk Stadium, and Izmir Halkapinar Sport Hall. Additional area points of interest include Konak Square and Saat Kulesi. ##Hotel Features. 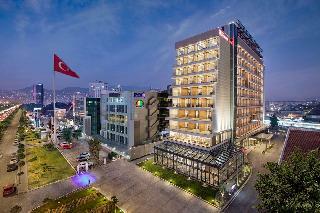 Hotel Anemon..
Dalyankoy is an extremely sheltered entrance to land. Its bottom which was a clay area once upon a time has been cleaned and it has become a natural marina getting more and more modern. Dalyankoy is an ideal shelter for fishing boats, yachts and all kind.. This is a good value property with basic needs covered. 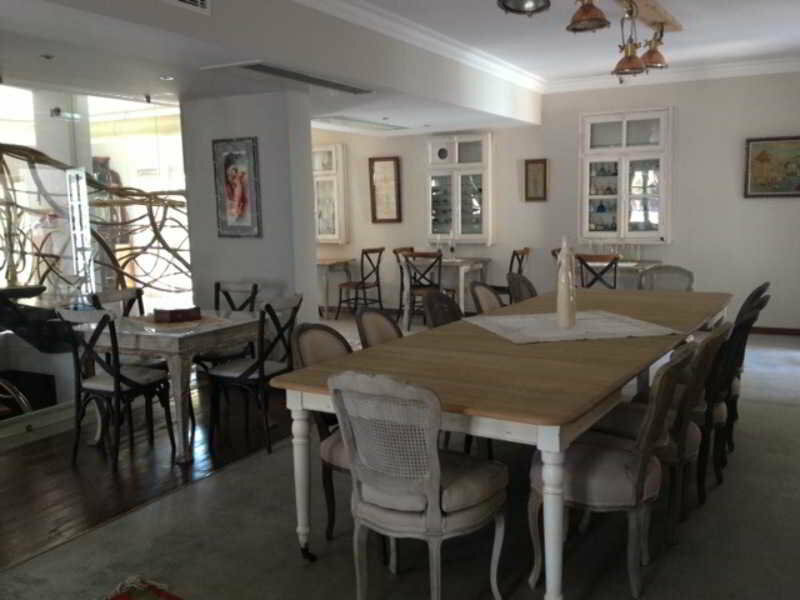 (04/08 SB) ## Location Situated in the north of Alsancak on the way to Karsiyaka. ## Distance 10 kms to city centre 16 kms to the nearest airport (adnan menderes airport) ## Rooms The rooms are.. 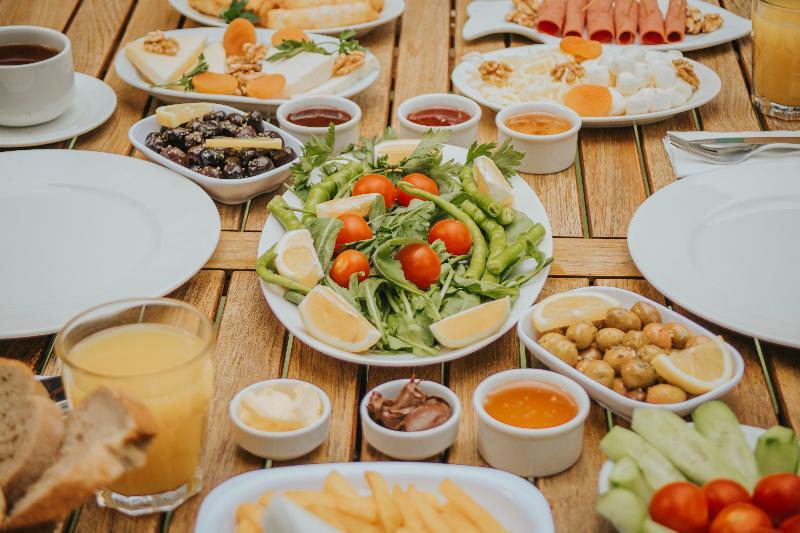 Featuring air-conditioned rooms with a private balcony, Hotel Kocaman offers an on-site restaurant and free parking facilities. The Kemer Metro Station is a 2-minute walk away.With free Wi-Fi, all soundproofed rooms at Kocaman include satellite TV, a.. 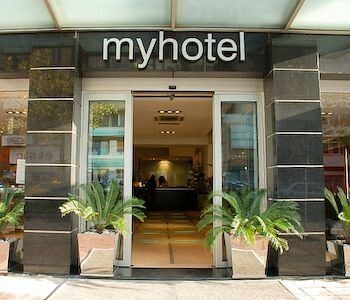 This delightful hotel is located in Izmir's historical centre. The hotel lies just 50 metres away from the Aegean Sea. The hotel lies just a short walking distance away from links to the public transport network, as well as markets. 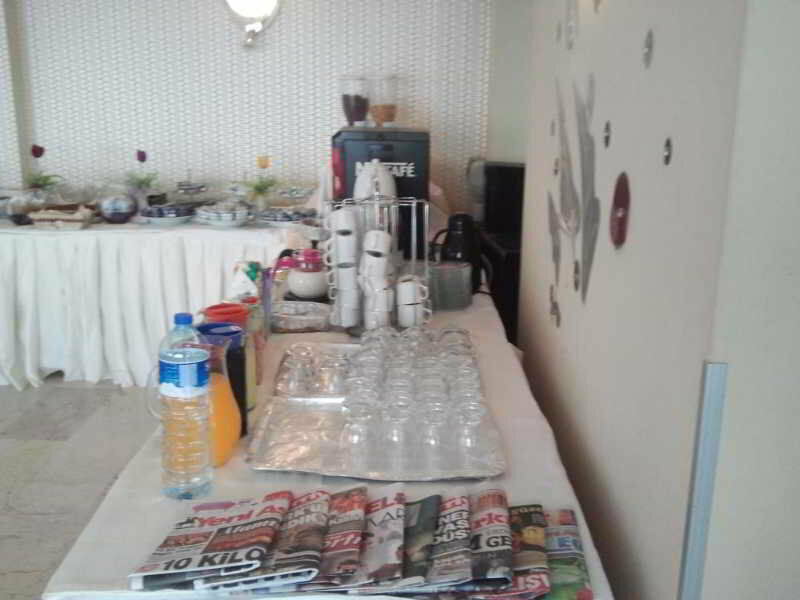 The hotel is conveniently..
FacilitiesThe hotel offers numerous facilities so that guests can enjoy a comfortable stay. Services and facilities at the hotel include internet access and wireless internet access.RoomsGuests will also find a balcony in most rooms. The accommodation..